Pfizer adalimumab biosimilar update : Pfizer and AbbVie have signed licensing agreements to resolve all global intellectual property (IP) matters pertaining to the former’s proposed biosimilar of the latter’s rheumatoid arthritis drug Humira (adalimumab). As per the agreement terms, Pfizer has secured a non-exclusive patent license from AbbVie for the use and sale of the proposed adalimumab biosimilar across several countries. Pfizer has agreed to pay royalties to AbbVie for licensing patents of HUMIR and also to acknowledge the validity of the licensed patents. 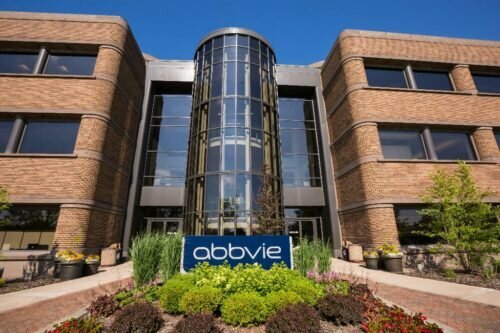 AbbVie will not make any payments to Pfizer and the precise terms of the agreement are confidential between the parties. Pfizer said that it could launch its Humira biosimilar across the European Union after getting an approval from the European Medicines Agency. In the US, the license period for the Humira biosimilar will commence on 20 November 2023. Commenting on the adalimumab biosimilar update, Richard Blackburn – Global President at Pfizer Inflammation and Immunology, said: “This settlement will facilitate patient access to Pfizer’s proposed adalimumab biosimilar which we expect to be an important addition to our broad portfolio of biosimilar medicines. Pfizer, AbbVie resolve IP matters for adalimumab biosimilar. Photo courtesy of AbbVie Inc.
Further, all litigation that have been pending between the companies will be taken back, said Pfizer. The financial details of the agreements between the parties were undisclosed. Recently, Mylan launched Hulio, a Humira biosimilar, across key markets in Europe following its approval from the European Commission for all indications of the reference product. Mylan entered into a partnership with Fujifilm Kyowa Kirin Biologics in April 2018 to commercialize the adalimumab biosimilar developed by the Japanese pharma company. In July 2018, Novartis’ Sandoz was given approval for Hyrimoz (adalimumab), a Humira biosimilar in Europe for all indications of the reference drug including rheumatoid arthritis, plaque psoriasis, Crohn’s disease, uveitis and ulcerative colitis. (Read Hyrimoz EC approval story here). For more updates on Pfizer, Abbvie, Humira biosimilar, and all other pharma industry news, keep following PharmaNewsDaily.com.